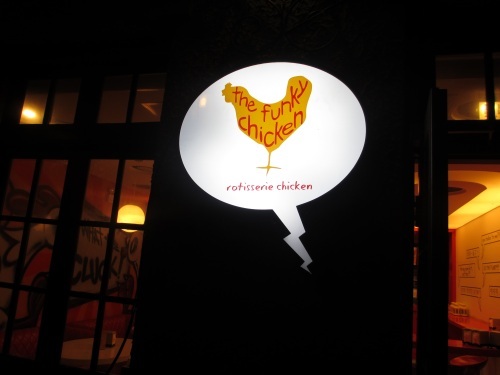 This is an eatery I passed on the way to the Alchemist, a molecular cocktail bar in Shanghai that I loved enough to take photos and videos of the drinks. 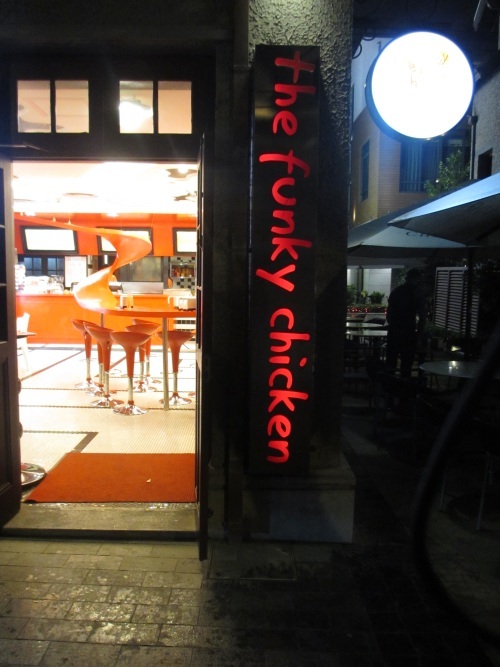 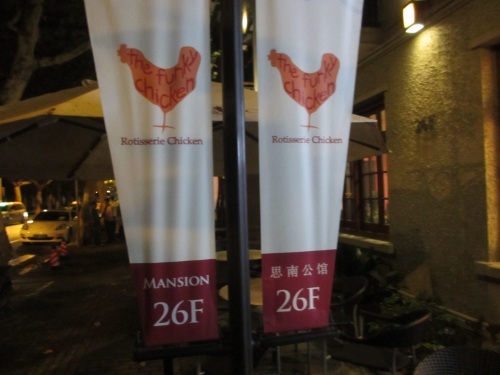 But I was attracted by the chicken art of this place’s marketing…. 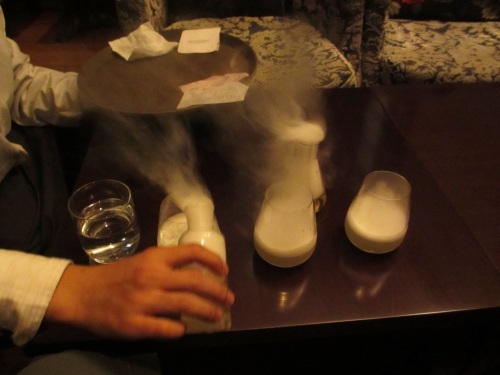 Here’s a photo of the foggy drinks at the Alchemist… La Flora Fixe!